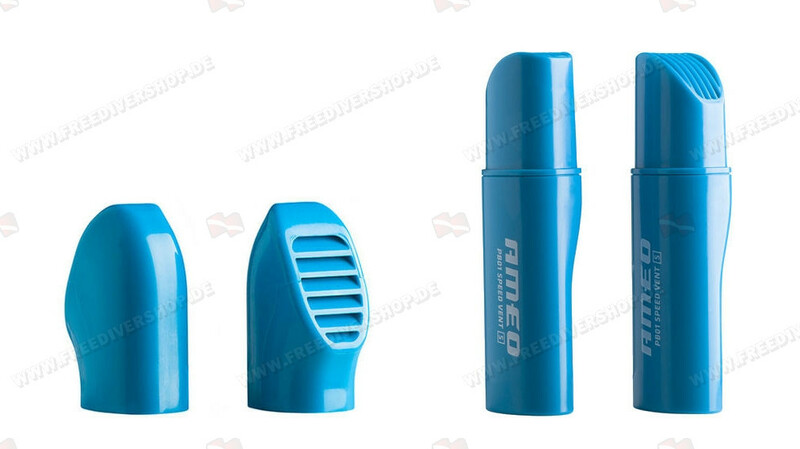 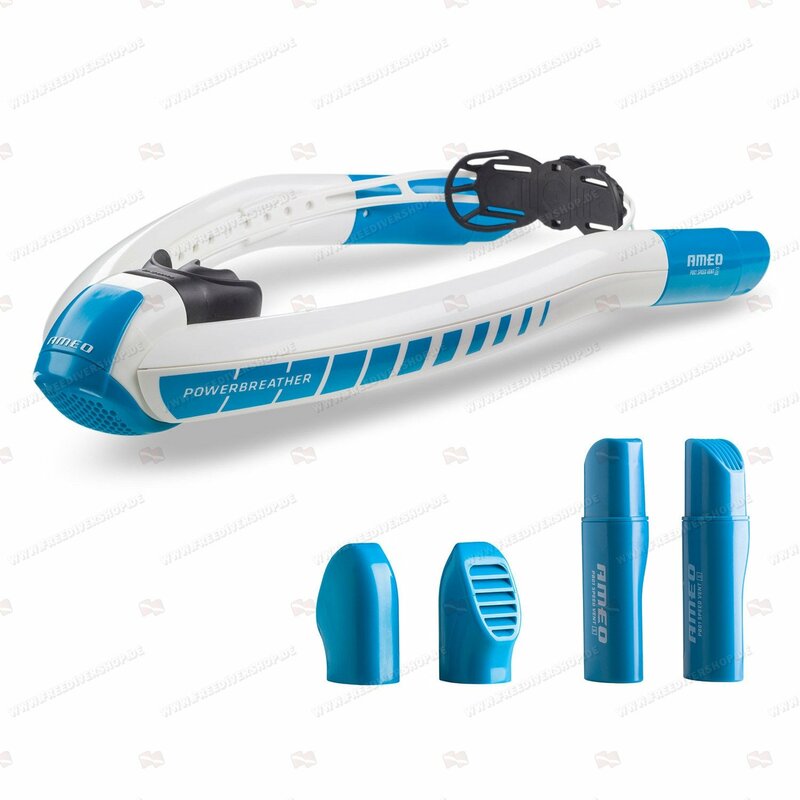 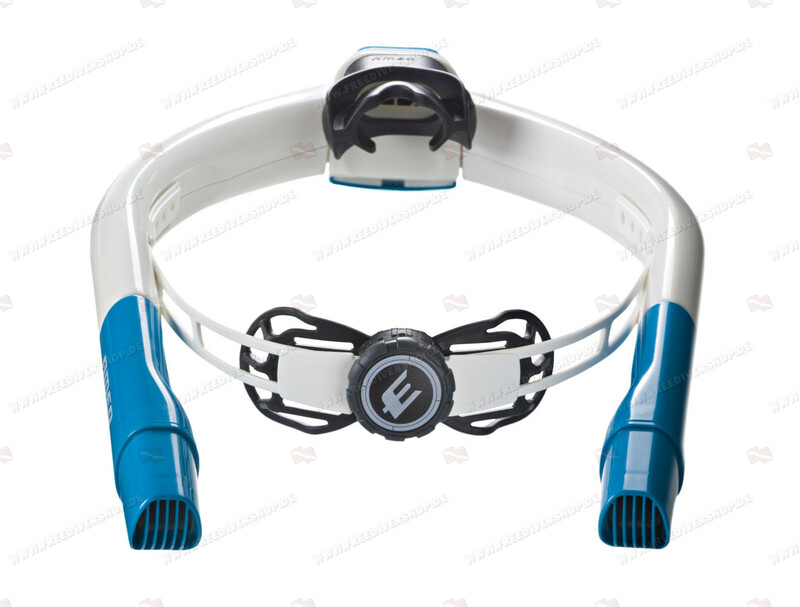 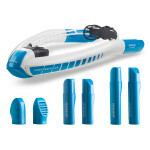 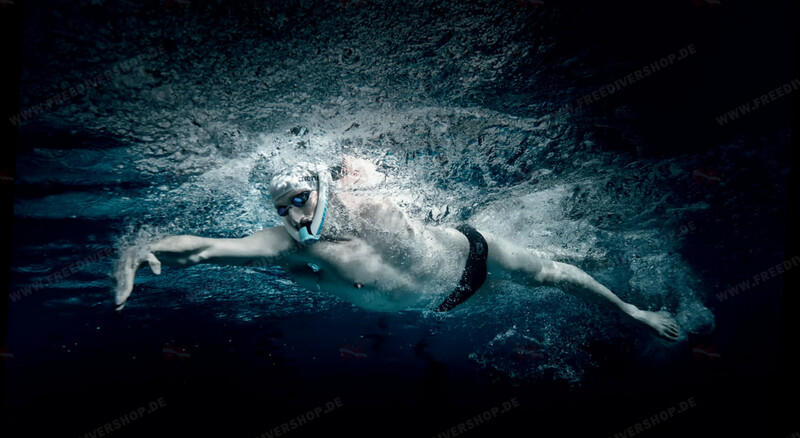 Revolutionary Powerbreather Sport dual swimming snorkel from Ameo, featuring the Ameo Fresh-Air dual tube system together with the Ameo Easy-Fit Air Junction, guaranteeing dry, oxygen rich air with each breath while allowing easy, natural breathing. 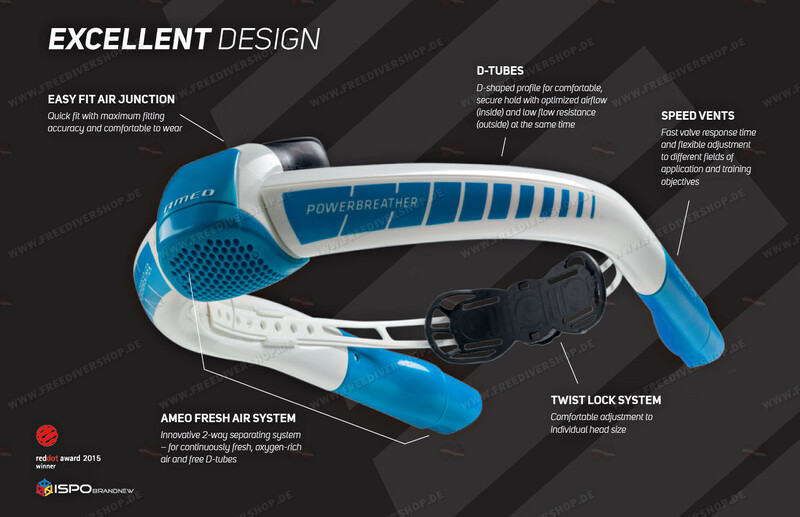 Unique D-shaped tube design allows easy airflow and optimal hydrodynamics, with interchangeable Speed Vents and Flip Caps for all types of swimming styles and conditions. 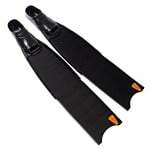 Equipped with comfortable Twist-Lock system for easy fitting, size adjustment and a secure lock during any activity. 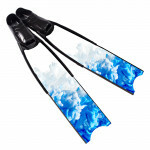 Great for pool and calm open water activities. 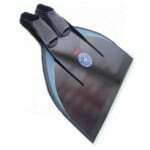 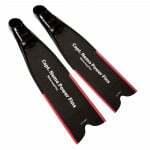 Ideal for swimmers of all performance levels, who wish to master the flip turn. 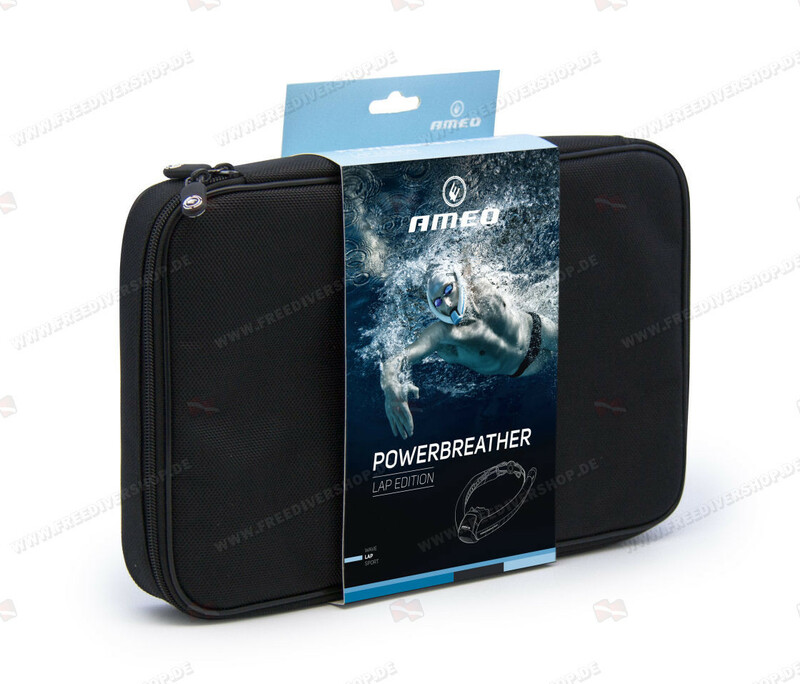 Supplied with 2 x Ameo Speed Vents Easy (Standard), 2 x Flip Caps (for flip turns / open water) and Elegant Black Carry Case. 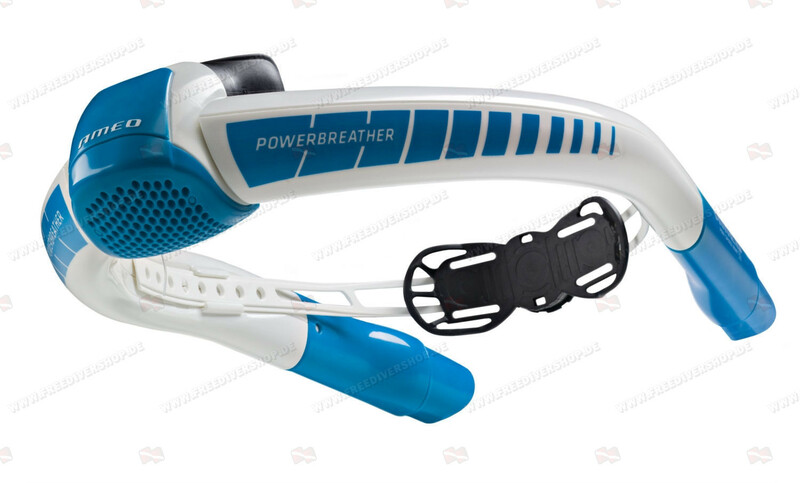 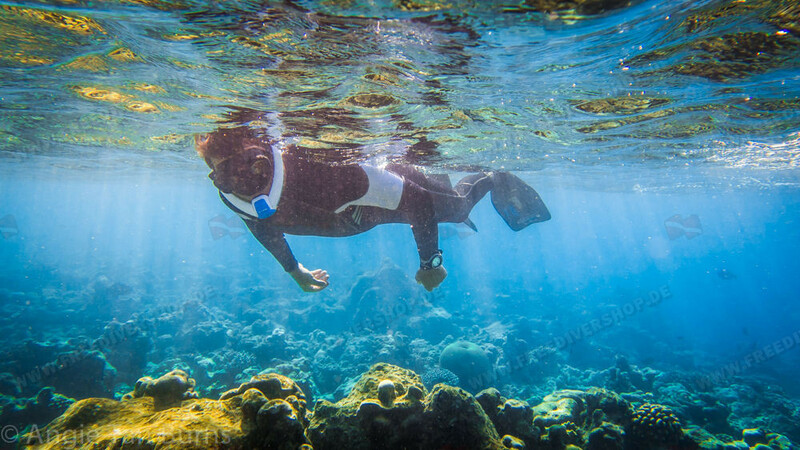 Revolutionary Powerbreather Sport dual swimming snorkel from Ameo. 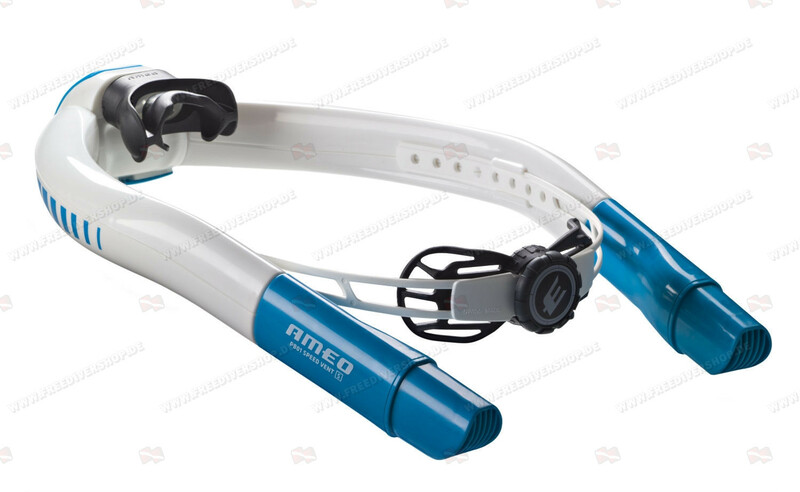 Featuring the Ameo Fresh-Air dual tube system together with the Ameo Easy-Fit Air Junction, guaranteeing oxygen rich air with each breath while allowing easy, natural breathing. 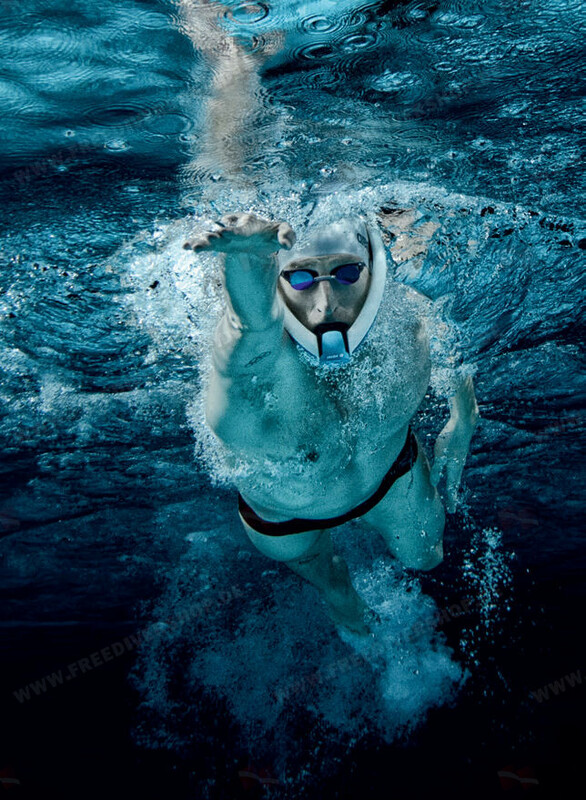 The Ameo Easy-Fit Air Junction is equipped with innovative dry valve technology, preventing water from entering the Powerbreather and a comfortable ergonomic mouthpiece. 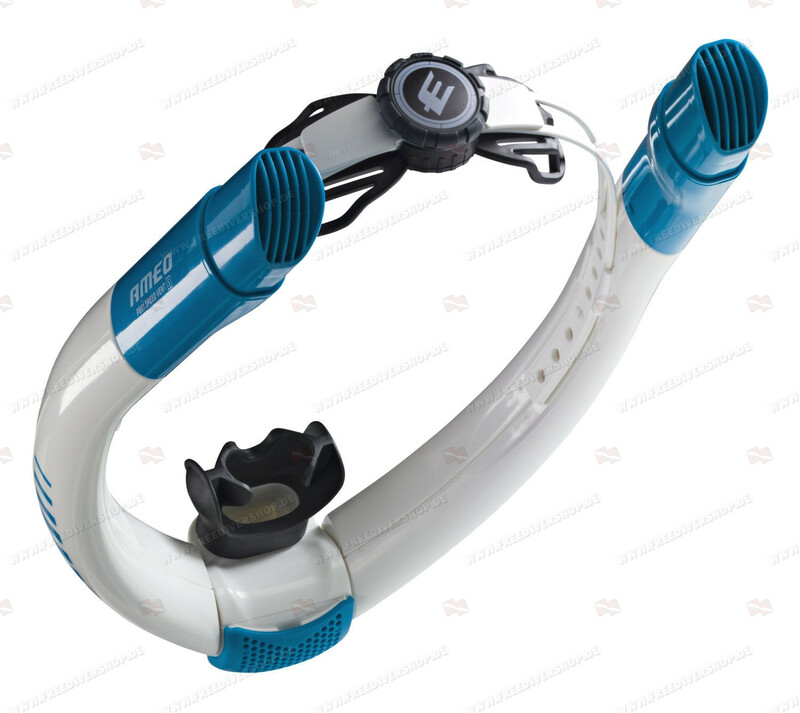 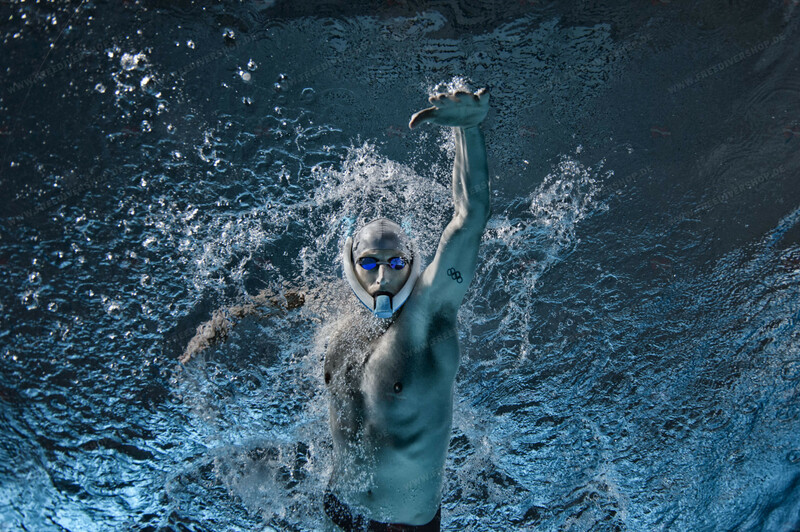 Unique D-shaped tube design allows easy airflow while maintaining optimal hydrodynamics, with interchangeable Ameo Speed Vents and Flip Caps for all types of swimming styles and conditions. 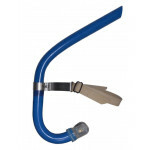 Ameo's comfortable Twist-Lock system allows easy fitting and size adjustment of the Powerbreather and guarantees a secure lock during any activity. 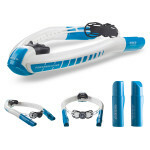 Great for pool and calm open water activities. 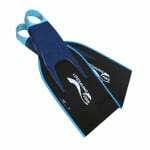 Ideal for open water and pool swimmers who wish to master the flip turn. 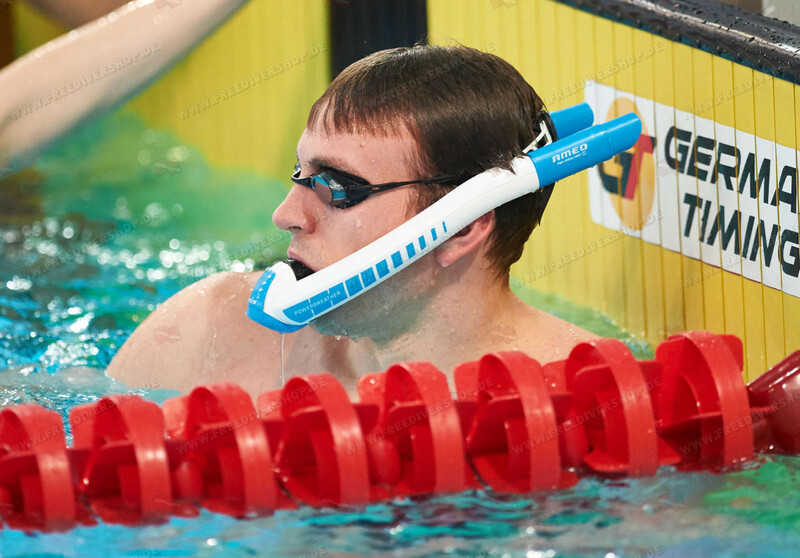 The Ameo Powerbreather is in use by the world's top athletes including EU IronMan cahmpion Jan Frondo, OW swimming world champion Thomas Lurz, swimming world record holder Steffen Deibler and others.